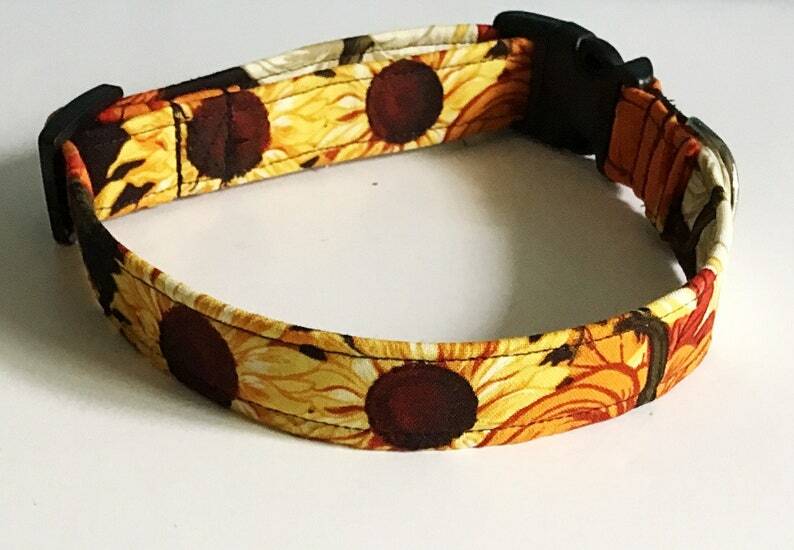 This Sunflower Fall Dog and Cat Collar shows off Sunflowers, pumpkins and greenery throughout. This is a cute dog or cat collar for Autumn and through Thanksgiving. The seasonal collar does have an available matching flower and or bow tie which can be purchased additionally as an option. I have included an image of both the bow tie and the flower. Please make sure you click on either the flower or bow tie option if you would like to purchase the flower or bow tie with the collar. Flowers and bow ties are discounted in price when purchased as a set with the collar.